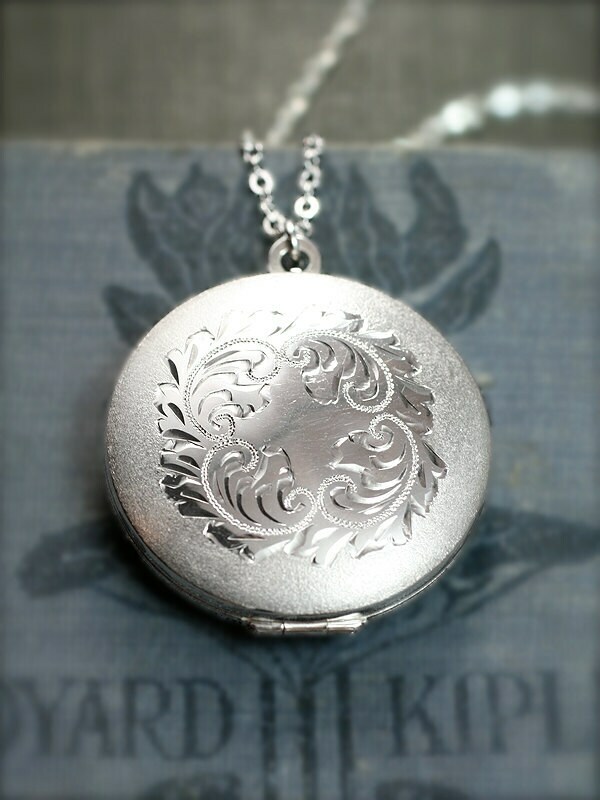 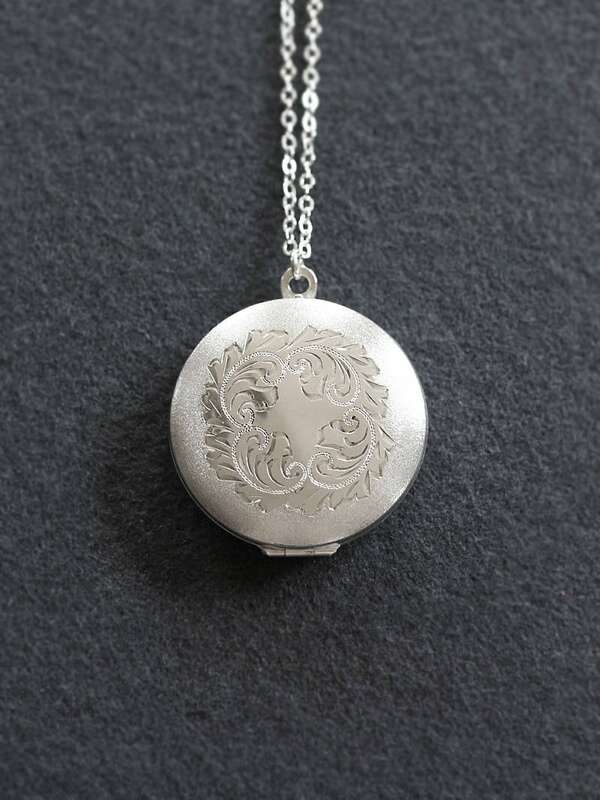 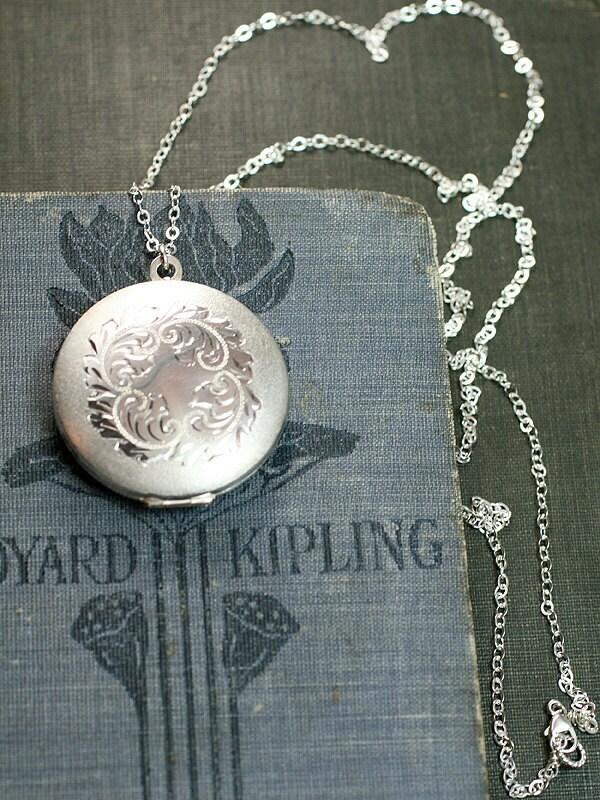 A very rare large round sterling silver locket is engraved with billowing swirls framed in a brushed matte border. 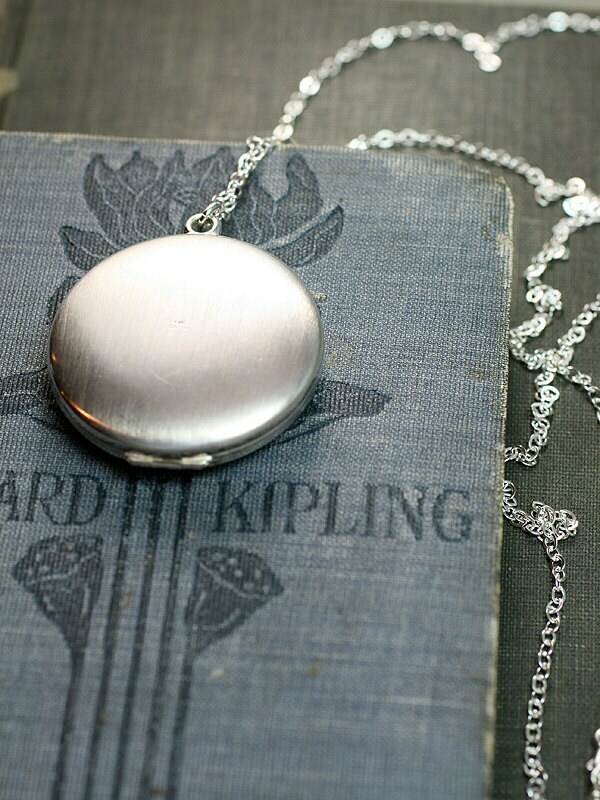 The back of the locket remains plain with a lightly matte finish and set of full UK hallmarks. 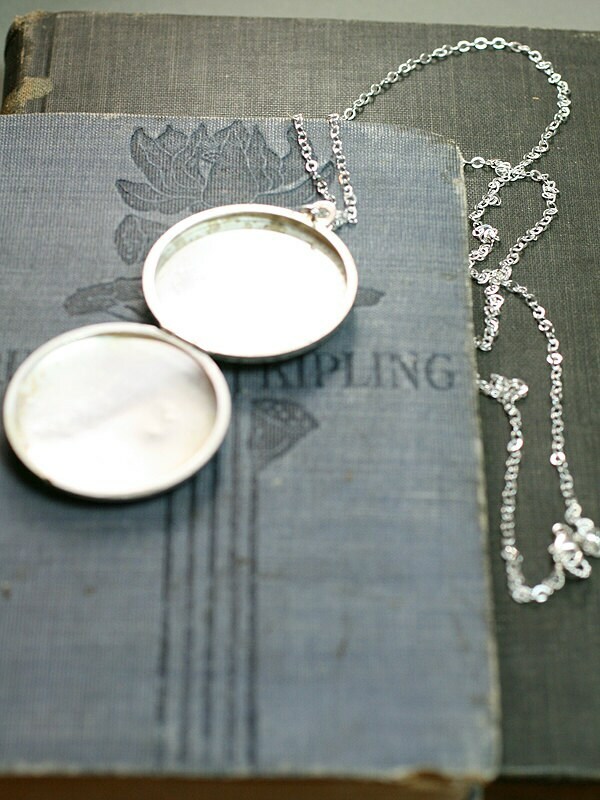 The classic keepsake locket opens to reveal two frames waiting to hold beloved photographs. 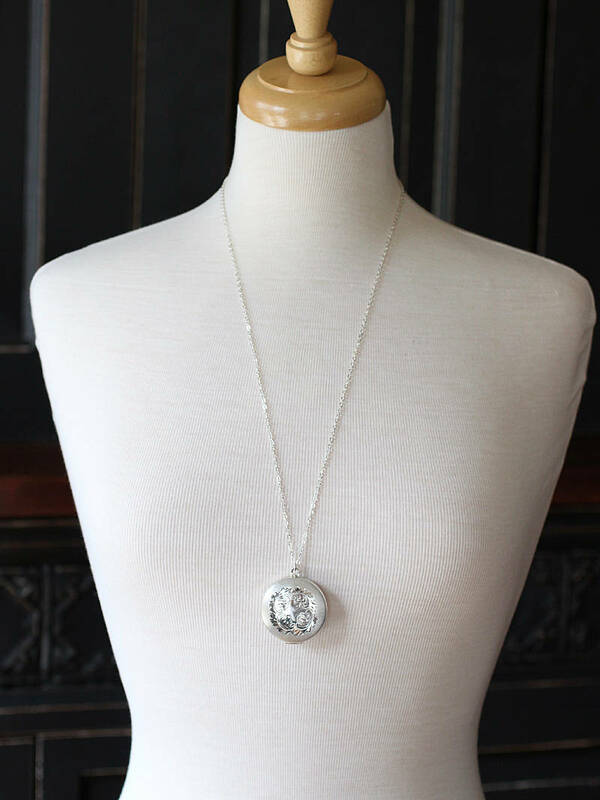 The locket dangles from a new extra long chain of sterling silver hand finished with a trigger lobster clasp of the same.